Shlomi is a member of Kibbutz Glil-Yam where he was born, married to Linda originally from San Francisco and considers his four children as his biggest contribution to humanity. His PhD is in Philosophy from Tel Aviv University and academic focus is community and Jewish Peoplehood. Elan is a Jerusalem-based independent consultant: Effective Partnerships in Today’s Jewish World. Born and Raised in Jerusalem. After six years in the Israeli Air Force as a helicopter pilot Elan went on to pursue a career in Jewish education. Elan served in various executive roles including: director of the International Dept of Melitz – Center for Jewish Zionist education, Director of the Charles Bronfman Mifgashim Center, Executive Director of Masa – Israel Journey and director of the International School for Jerusalem Studies at Yad Ben-Zvi. Elan received his BA and MA from Hebrew University in Education and Jewish Thought and his doctorate from the Jewish Theological Seminary in New York. His dissertation topic was: “The Dynamics of interaction between American Jews and Israelis”. Elan is an active player in the Israeli Jewish Renaissance scene, and was the founding chair of Panim – for Jewish Renaissance in Israel. He is married to Rabbi Naamah Kelman and a father of three. Learning in Adulthood (JTS Press, 2004). Business Administration from the University of Massachusetts, Amherst, and a Ph.D.
teaching and scholarship. She was ordained in May 2017. Ezra is a sociologist specializing in the Jewish world and Jewish Education. He is CEO of Research Success Technologies (ReST) and a Fellow at the Center for Jewish Peoplehood Education. ReST brings to the project wide experience with social surveys of American Jews and the technological capacity to field the required surveys. Ezra is a pioneer in research on Jewish Peoplehood, developing intellectual frameworks and conducting applied research. Rabbi Scott Aaron is the Community Scholar for the Agency for Jewish Learning for Greater Pittsburgh where he specializes in formal and informal adult education. He has rabbinic ordination and a Masters of Arts in Hebrew Literature from the Hebrew Union College – Jewish Institute of Religion and a law degree from the University of Toledo. Scott is currently a PhD candidate in Educational Philosophy at Loyola University Chicago where his academic work focuses on the impact of experiential education on the Jewish identity of Jewish Emerging Adults. Scott has worked in Emerging Adult education through the Hillels at New York University, the Ohio State University, and the University of Chicago. He has also worked extensively in the camping and retreat field, and was the Director of Education for the Brandeis-Bardin Institute outside Los Angeles from 2001-2004. Scott is the author of a number of published articles and stories including his book, Jewish U: A Contemporary Guide for The Jewish College Student (URJ Press) which is now in its second edition. Scott is adjunct faculty at Spertus College and the education schools of the Jewish Theological Seminary of America and the Hebrew Union College – Jewish Institute of Religion. Scott is also a professional mentor for the Spertus College Master of Arts Program in Jewish Professional Studies and the ICenter, and he consults nationwide on Jewish experiential education and professional development. 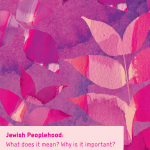 He was recently named to the editorial board of the Center for Jewish Peoplehood Education’s publication series on the theme of “Peoplehood in Practice.” He is married to the amazing and beautiful Rabbi Donni Aaron and they are blessed with three children, Meitav, Nitzan and Naor. Beth Cousens is a consultant to Jewish educational organizations, working in areas of strategic research and evaluation. Her clients have included American Jewish World Service, The Jewish Community Federation of San Francisco, the Peninsula, Marin and Sonoma Counties, Kevah, Repair the World, and the Shalom Hartman Institute – North America, among others. Recently, as the Associate Vice President of Hillel’s Joseph Meyerhoff Center for Jewish Experience, Beth led Hillel’s Jewish educational strategy. Beth holds a PhD in the sociology of Jewish education from Brandeis University; she also holds an MA with Honors in Judaic Studies from Baltimore Hebrew University and an MSW from the University of Maryland. A specialist in adult Jewish education, emerging adulthood, and the Millennial generation, she is the author of a number of articles about emerging adults’ exploration of Jewish life. Her dissertation research is entitled, “Shifting Social Networks: Studying the Jewish Growth of Adults in Their Twenties and Thirties.” She lives in San Francisco with her husband. 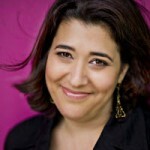 Helena Miller is the director of Research and Evaluation, and Living Bridge programmes at UJIA, London. She has a doctorate in Jewish Education and has taught and written widely for many years. She has been involved in many educational projects, both in the UK and overseas. Helena is an associate editor of The Journal of Jewish Education, and is co-Chair of LimmudInternational. She is the senior editor of the International Handbook of Jewish Education (Springer 2011) and is the recipient of the 2012 Max Fisher Prize for contribution to Jewish Education in the Diaspora. Noam Pianko is Associate Professor and Samuel N. Stroum Endowed Chair of Jewish Studies in the Jackson School of International Studies at the University of Washington. In addition, he serves as the chair of the University of Washington Stroum Jewish Studies program. Prof Pianko’s first book, Zionism and the Roads Not Taken: Rawidowicz, Kaplan, Kohn (Indiana University Press, 2010) explores overlooked formulations of early twentieth century Zionism. By illuminating the diversity of Zionist ideologies before the establishment of the state in 1948, the book demonstrates the importance of expanding our understanding of Jewish nationalism’s scope and function. His current book project, The Jewish People: Boundaries Beyond Borders investigates changing historical notions of Jewish collectivity and considering their lessons for contemporary debates about group identity in an era of transnational ties, demographic shifts, and global networks. Both projects rely on archival research, new readings of published sources, and a willingness to consider often taboo topics in Jewish scholarship and public discourse. A Wexner Graduate Fellow, Prof. Pianko received his Ph.D. from Yale University in 2004. He lives in Seattle with his wife and two daughters. Varda was a founding Fellow of the Center for Jewish Peoplehood Education and a pioneer in the field of Jewish Peoplehood. Most of her professional career was dedicated to the enhancement of the connections between Jews. It began at the American Jewish Committee where she created delegations of Israelis that explored the American Jewish Community and developed educational materials that brought the Jewish American story to the Israelis. Her participation in the Wexner program that followed was only a natural next step in her journey to engage with the Jewish people. She returned from it to assume the role of the director of JAFI’s Israeli Society Unit responsible for exposing young Israelis to world Jewry. Here the focus of the work was the development of college programs dedicated to engaging future educators with Jewish Peoplehood. Hatefutsot – the first entity to formally address the challenge of Peoplehood education- was created, Varda joined the founding team. She was involved in the creation of new educational content and materials and coordinated the work of the global task force on Peoplehood education. Last but not least she was a natural partner in the launching and development of the new Center for Jewish Peoplehood Education that was created in 2011. Varda was instrumental in co-writing the Task force report as the first attempt to frame the field of Peoplehood education, in editing educational materials, in teaching and in initiating the Toolkit for Peoplehood Education. But more than her formal biography can tell us, Varda was unique as she exemplified what we would hope to see in the individuals that make up the Jewish collective. Varda cared passionately about everything Jewish and her curiosity and desire to learn were endless. Her passion for Jewish Peoplehood was translated into a deep sense of commitment to the Jewish enterprise – a commitment that was expressed through action, entrepreneurship and unlimited devotion to the cause. As it relates to the topic of this issue, Varda’s Peoplehood was immersed in a deep commitment to pluralistic Judaism. Perhaps this was a natural expression of someone who grew up in a home with strong Revisionist roots and ended up a peace activist who actively opposed the occupation. Varda knew how to disagree while respecting her ideological opponents. While being both knowledgeable and opinionated her manor when interacting with conflicting opinions was always respectful and gentle. More than that, she treated all human beings, regardless of background and professional status with the same level of respect and dignity. “shlichut”. She was also a thorough researcher and thinker who was both open to new ideas but very pedantic as it relates to drawing new conclusions and ideas. A true “talmida chachama”. that is somewhat missing in today’s world. The world after Varda’s passing is definitely less good. She will be sorely missed by her friends and colleagues. As one of them, Dave Matkowski, wrote us : “Perhaps most importantly, Varda exemplified – whether consciously or organically – the principle that peoplehood works best when the people in question, whatever their differences, are personally likeable. With her easy smile, natural empathy and generosity of spirit, Varda made a sense of belonging to any people that included her an inviting prospect. It was a privilege to know and to work with Varda, and her untimely passing is a loss to the entire Jewish family. May her legacy continue through all whose lives she touched”. Our only consolation is that we will be continuing the work that was so important to her and that her smile will be with us as we make progress in improving this world through the strengthening of our people.